Last night it rained. And rained and rained. This morning we had to get ready to send a cow to the butcher. 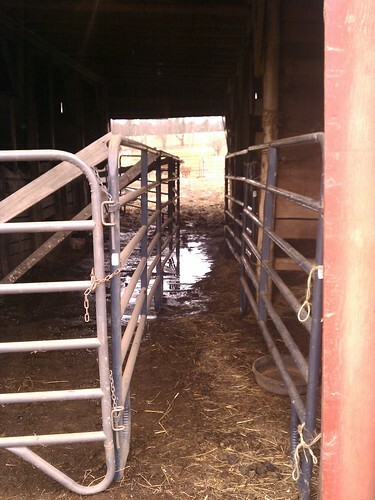 The barn was flooded, the pastures were flooded..everything was a big mess. But we got the cow loaded quickly and without incident. It happened so fast I couldn’t take pictures! 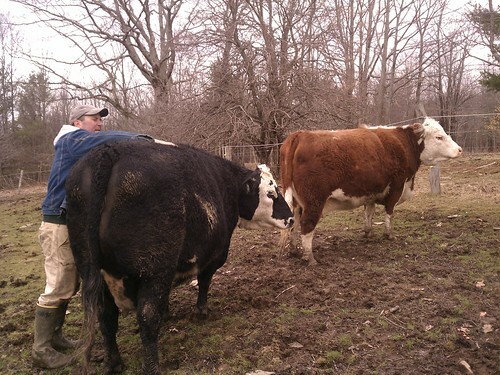 After we loaded the cow, we had to get the rest back up to the dry fields. 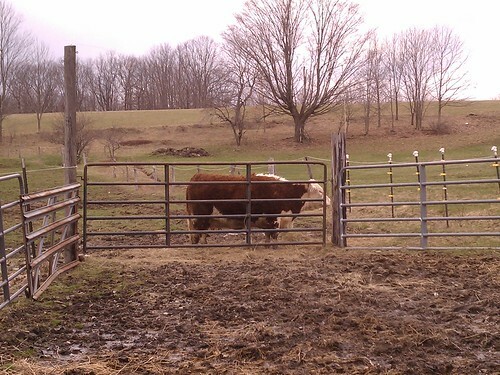 Here is a young steer, not sure if he should keep traveling to the dry fields or just watch me. He ended up going. 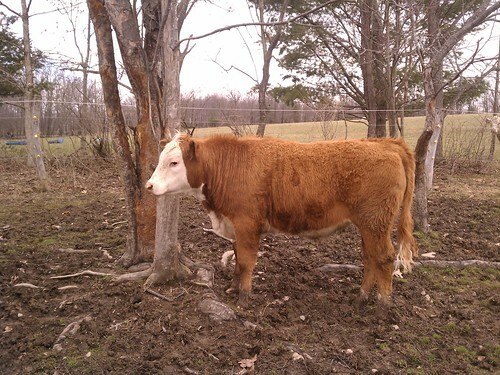 Here is the other steer. Don’t tell them they are going to the butcher around October. It will be our secret, ok? Gary gives Betty a good back rub. Now that spring is here almost here, they are shedding like crazy. 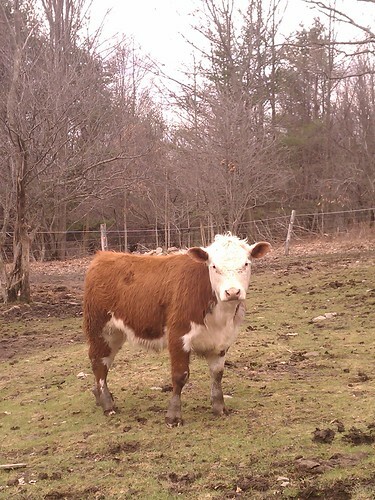 When we returned from the butcher, the cow’s mama was still waiting by the gate. Cows might be smarter than you think.